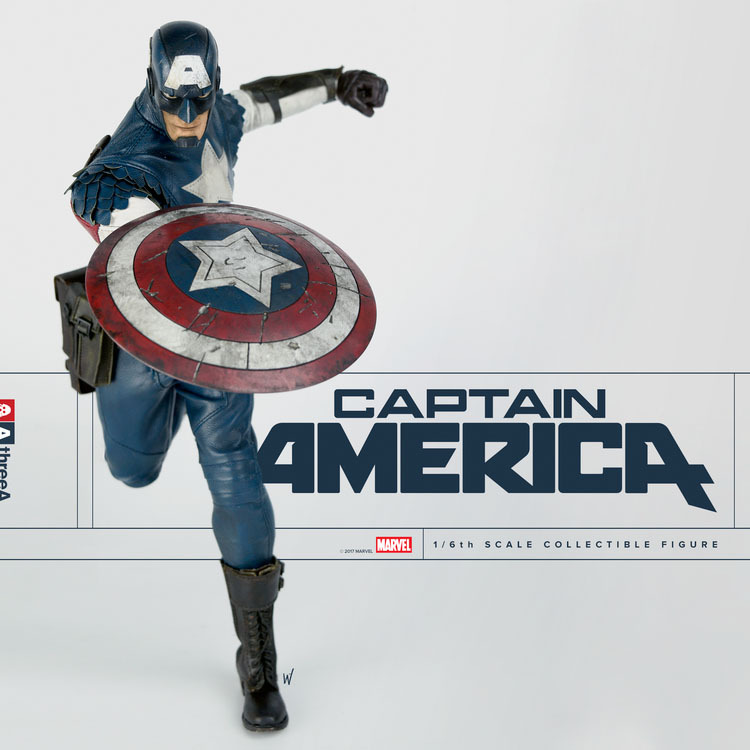 ThreeA and Marvel proudly present the sixth character in their stylized Marvel 1/6th Scale Collectible Figure Series – Captain America! Ashley Wood and ThreeA take the Sentinel of Liberty into the modern world blending elements of his unmistakable historic comic book outfit with contemporary tactical fatigues – all deftly tailored including the classic layered scallop detailings. 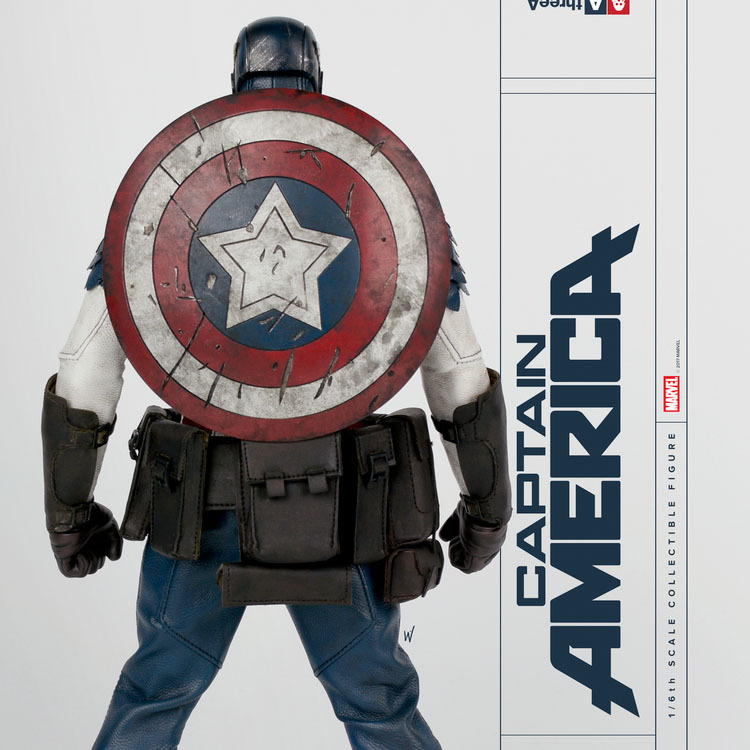 Captain America comes complete with his iconic Shield which features magnetic detailing that grant the ability to store on Cap’s back and on his faux-leather arm bracers. 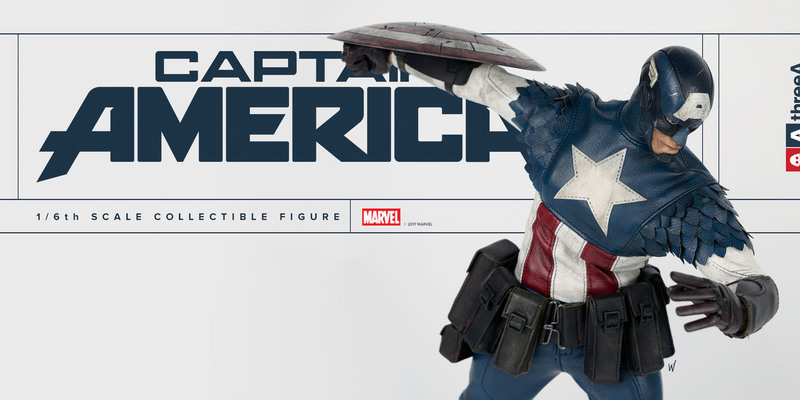 Captain America debuts a newly enhanced, heroically proportioned 1/6th scale body! Pre-orders for the statue will go live starting on Friday, April 28th on Bambaland as well as sites that stock 3A collectibles. 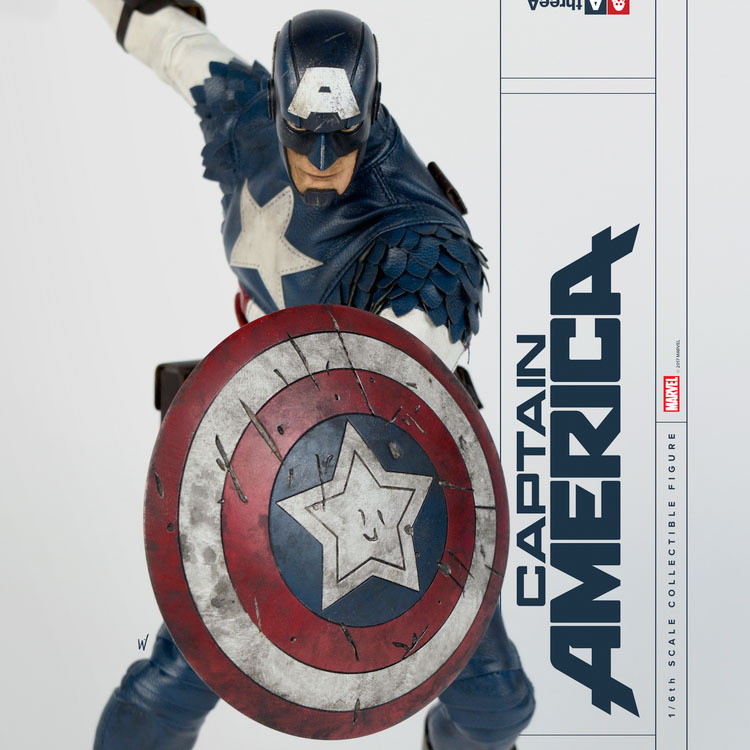 The Captain America 1/6 Scale Figure will be priced at $240 which includes free shipping if ordered from Bambaland. Check out the new photos by reading on. Those are some epic pouches. Oh Cap, your pouches are so big. Look how happy the star on his shield is! I actually think this looks pretty awesome. He needs more accessories, though, extra hands and maybe a pistol. If anyone got and of the other ones like Doom or IM or BW, what can you say about their quality? I don't see the smile on the shield? I'm sure this is based on a comic look I'm totally ignorant on but he looks like a bird. I was so distracted by that I didn't even notice the ridiculous pouches until the comments haha. Really?!?! You don't see that cute smiley face on the star of the shield? This Captain is obsessed with pouches! 11 on his belt and even 2 mini pouches on his back...how is supposed to reach into those tiny pouches on his back?!? If he had huge shoulder pads, I'd think this must be designed by Rob Liefeld. It's almost like the designers had a sense of humor and purposely offset a practical costume with something ridiculously over the top and comic book-like. Leifield working for 3A now? He looks like a birdman. 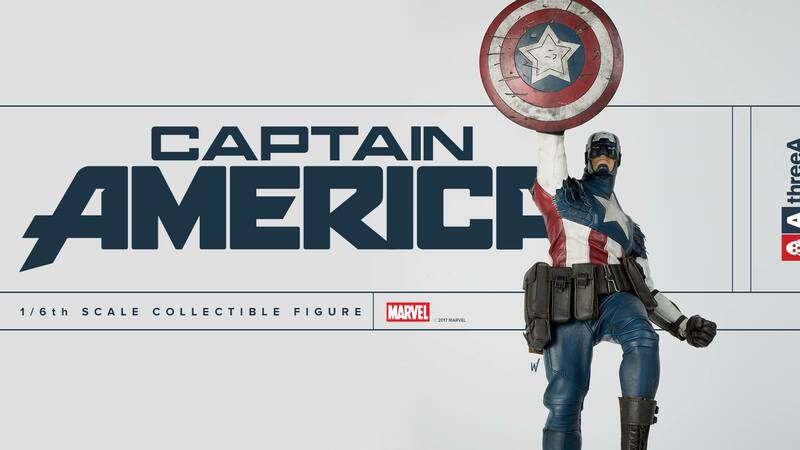 Does anyone else feel like these Marvel figures are becoming less an hommage, and more like satire? Iron Man, Ultron, and Dr. Doom all have Duck feet. 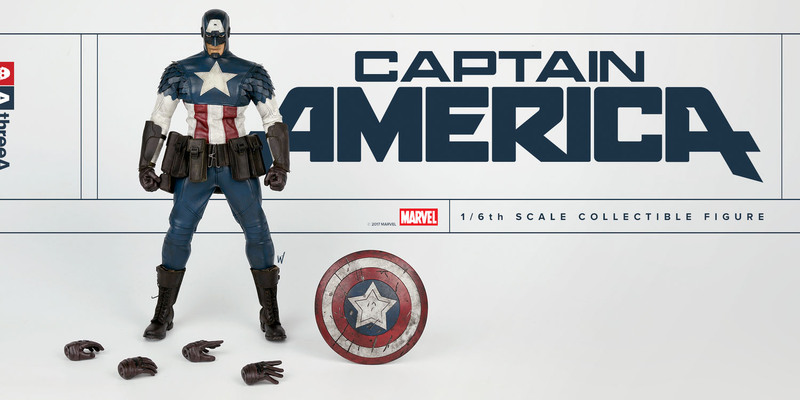 Now Cap has a Bird face, and a smiley face on his shield. The suit itself doesn't look half bad, but the pouches, bird head, and forearm gauntlet gotta go. I'll definitely pick one up for custom parts. The smiling star is a nod to AW's criminal star character, comes with the Lasstranaught figure. Seems unnecessary and distracting to me. 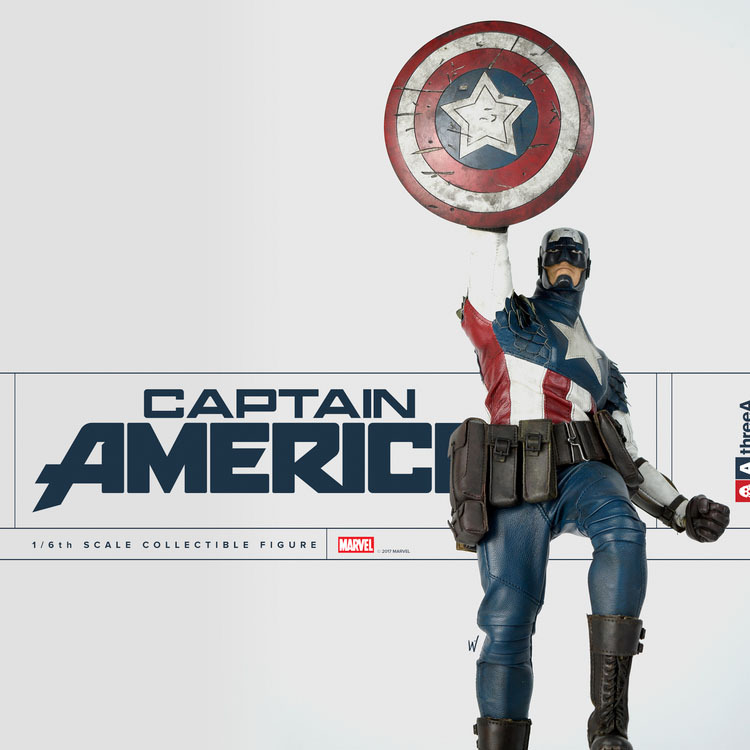 This looks to be the best Marvel figure they've done, they (and Batman) are usually a mess. I wouldn't buy it though, due to their poor QC track record. Pouches that large would really hinder fighting I would think. Ill Pass. I suppose one loves these ultra-stylized 3A versions, such as that truly Martian "Iron Man," or one despises them. I'm on the fence. 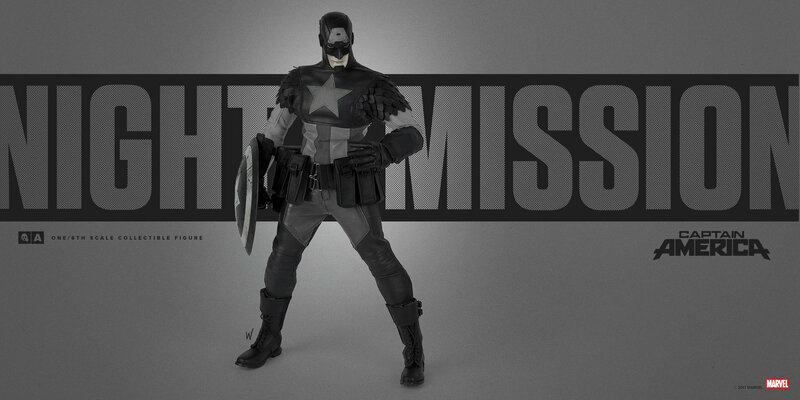 I almost like this redesign of Cap (not this dreary "night mission" coloring, though)...but those GIANT pouches are absurd! What, does Cap carry several laptops & picnic baskets with him? 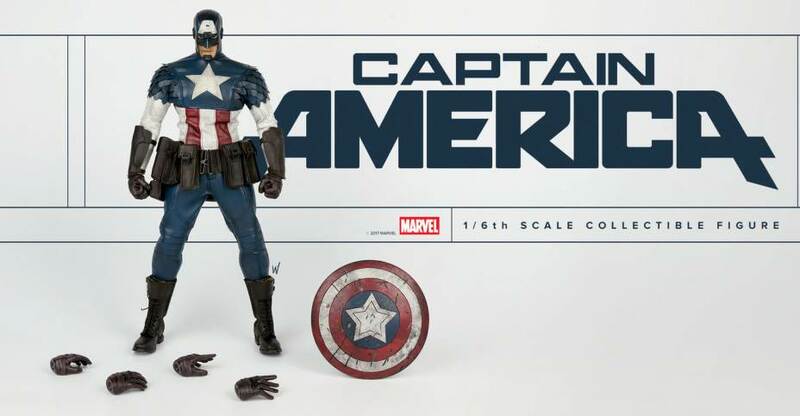 I sorta like the "feathers/scales" on his shoulders...not a big fan of that "batman nose" or Cap's baggy pleather uniform, however (which I suspect would deteriorate over time)...and what the heck was wrong with those wings on Cap's head? 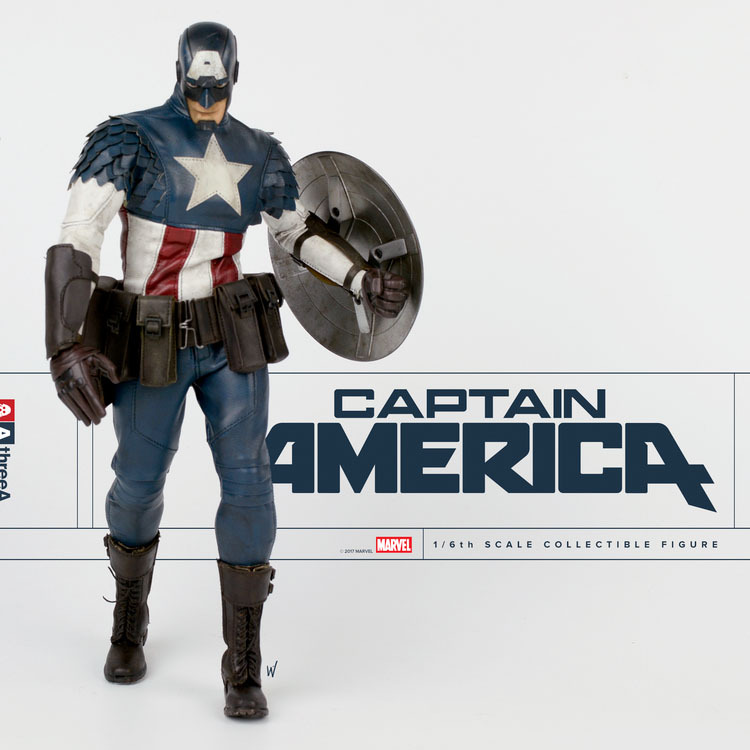 If someone GAVE me one of these, I could improve its looks by REMOVING the pouches and repainting Cap's gloves & boots RED, but that battle damaged shield is beyond repair. 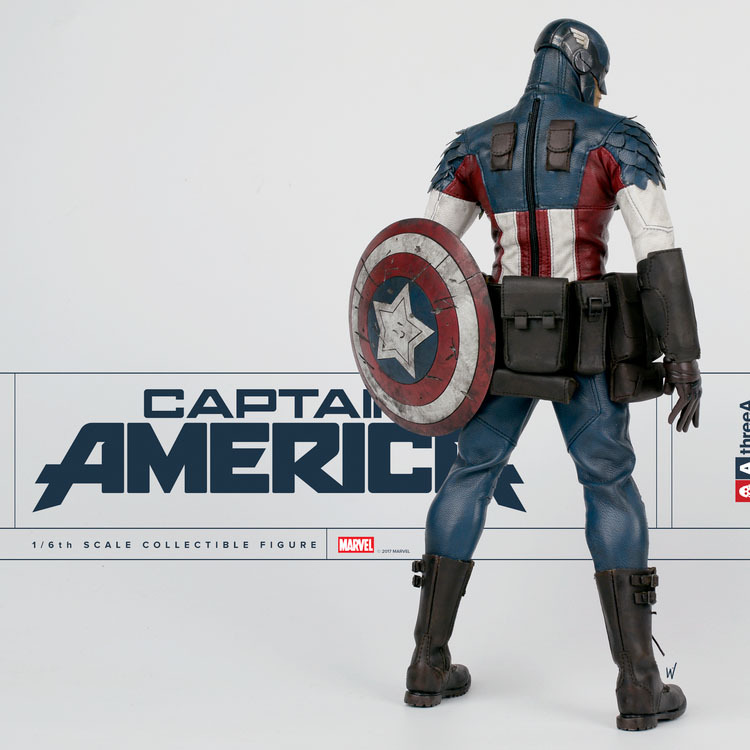 I'm just glad HotToys made that more-or-less on-model Captain America uniform...minus visible ears. I relocated the wings on Cap's head from the TOP of his noggin to the sides and he looks MUCH better. Thank-you super-glue!